BROEN is an international company, exporting products to more than fifty countries. They are a part of the stock-listed industrial group Aalberts Industries. This international industrial group has two core activities: Industrial Services and Flow Control. Target-driven approaches to the market, a decentralised management structure and innovative working practises have made Aalberts Industries a leader in many market areas. The ongoing goal of Aalberts Industries is constant growth and development. 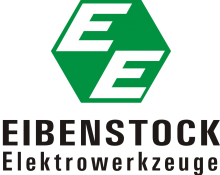 EIBENSTOCK-Elektrowerkzeuge (Power tools) are produced in Sachsen in Erzgebirge with a long tradition in the development and manufacturing of power tools for the industrial and trade sector. Combining well-trained employees with investment in logistics, assembly, CAD-workstations and cross linked CNC-machining centers in the recent years have enabled Eibenstock to have a direct influence in product quality and the ability to react quickly and efficiently to new trends and developments. Meibes is a long-established, international company with more than 50 years of experience specialising in efficient networked building technology. Founded in 1961 in Altwarmbüchen near Hanover as a family-run company, the name meibes stands for quick mounting systems. Nexus Valve’s mission is to provide single-point sourcing of quality hydronic products and to provide additional value-added services for resellers and users of these products. Nexus Valve’s pledge is to continue its effort to fulfill the mission as effectively and efficiently as possible, while maintaining the highest levels of innovation, production, and service to which our customers and users expect. Winterstone traces its roots back to 1847, in Germany. The company has grown since, thriving with its innovative high performance products and solutions, for the stone industry. The experience and the team player attitude of all the Winterstone members, along with our legendary innovative spirit and customer devotion, makes it possible that the project Ernst Winter started in 1847 is stronger than ever.